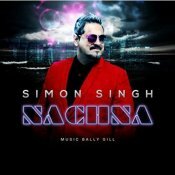 Simon Singh is back with his highly anticipated brand new single entitled “Nachna“, Produced by Bally Gill! Talented producer Bally Gill returns with his brand new single entitled Pyar Tenu Kardi featuring the vocals of Ranjit Rana!! ARE YOU Bally Gill? Contact us to get a featured artist profile page.